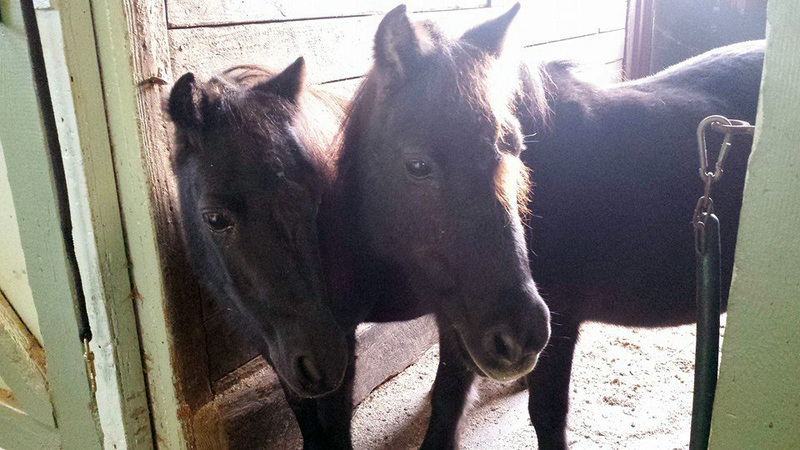 Etta and Cricket are Miniature Horse mares and are mother and daughter. Etta was born in 2004 Cricket was born in 1990. Our vet determined their ages when they had dental floats. Their owners surrendered them to animal control when they were no longer able to care for them. 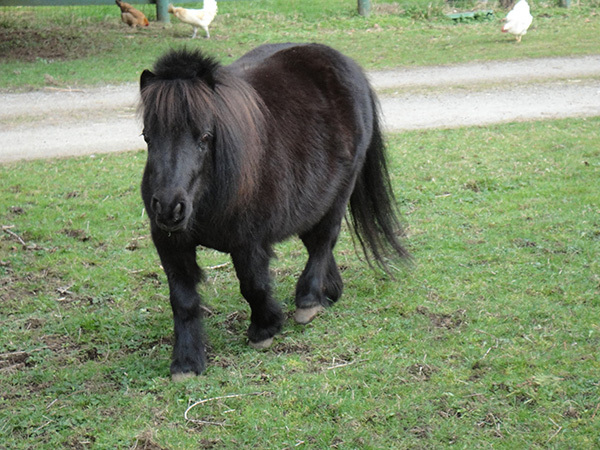 Etta is small and black, about 36”. Cricket is a little bit taller and chocolate brown. 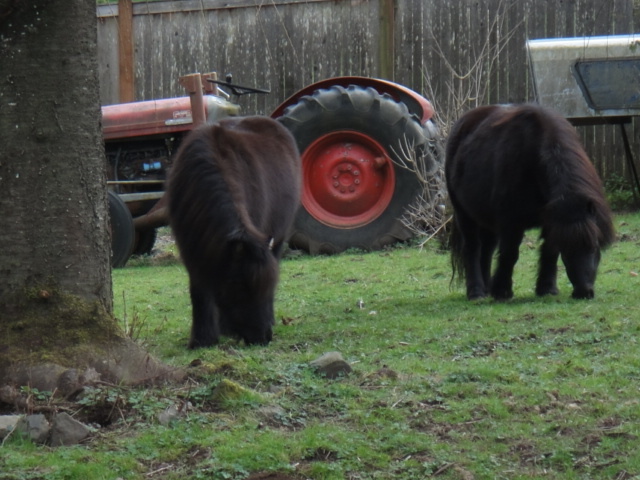 These girls had lived in stalls most of the time and relish the freedom to play in their paddock or make laps around our yard. Etta is very friendly and always on the look out for treats. Cricket is more reserved and very devoted to her daughter. They are sanctuary residents who relish their predictable lives: getting to run in the outdoors all day, every day, having hay whenever they are hungry and regular health care.